I really had this thing for drawing cracks... They were so cool, I would draw everything cracking just to make more cracks. 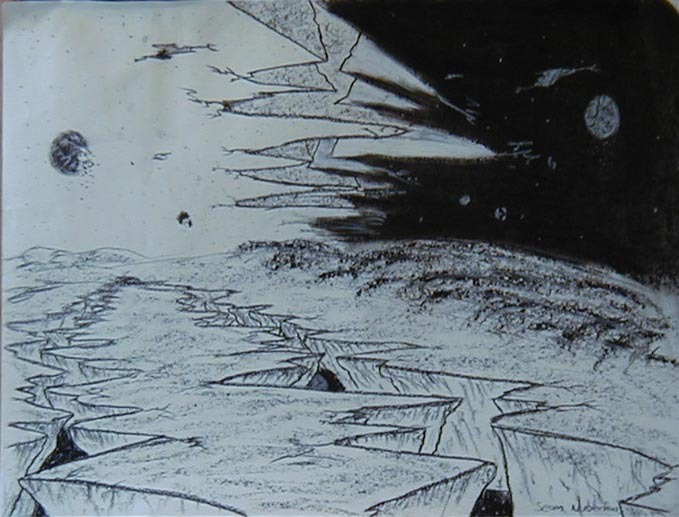 This one depicts a crack defining the edge between day and night, and is also fairly typical of my drawing style. Not a whole lot of detail, and most of the major details are heavily marked for emphasis. As I said, I really never viewed drawings as finished works, I suppose this one didnt actually get done until I finished the Infinity Crack painting.